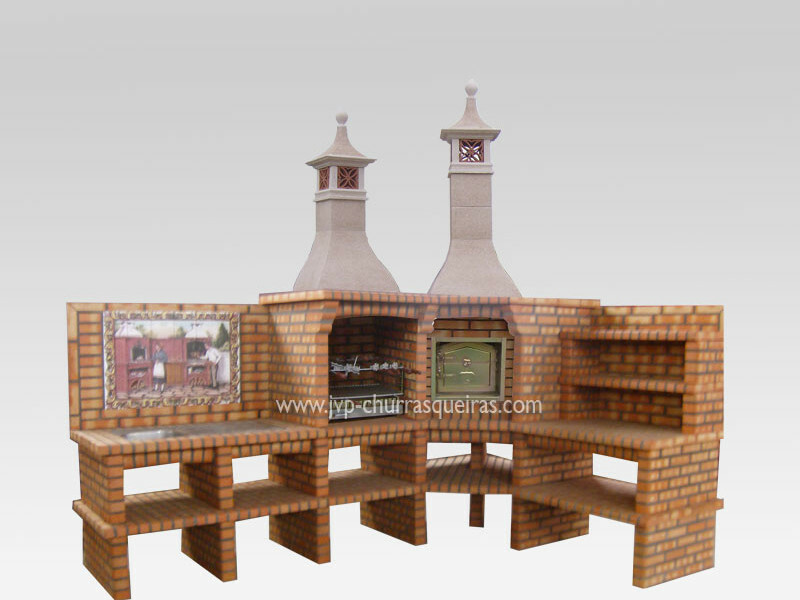 Brick Barbecue 84 – BBQ with tiled panel, typically the Portuguese, which can be exchanged for another reason the customer wants, this grill also there is a wood stove in the corner, to be able to roast a chicken, a pig, make bread, or anything you want, and left the oven to grill where you can make your grilled. It also has the right a workbench with shelves for greater storage. This barbecue is all made of firebrick for better cleaning.